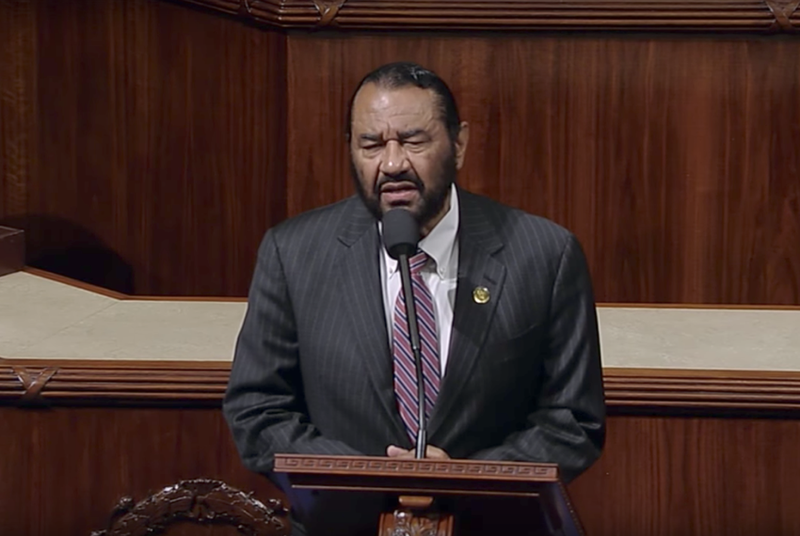 WASHINGTON — U.S. Rep. Al Green, a Houston Democrat, announced Wednesday he would begin proceedings to impeach President Donald Trump. "There is a desire ... to see articles brought so the president can answer for obstruction of justice," Green told reporters. His announcement came as the U.S. Senate Intelligence Committee released explosive written testimony former FBI Director James Comey submitted ahead of a hearing Thursday. The statement included details of Comey's assertions that Trump urged him to end his investigation into former national security adviser Michael Flynn. Nonetheless, Green's effort remains a largely isolated one, with a highly uncertain path. House Republicans control the chamber, and there are few indications members of the GOP are interested in impeaching a president from their own party. Likewise, Green's own Democratic leadership has been highly reluctant to discuss impeachment — a course some operatives and members in the Democratic party believe could repel the independent voters they will need to make significant gains in the 2018 midterms. Green, however, paid no attention to those sentiments and realities and continued his push as the most prominent proponent for impeachment in the Congress. And he found an ally on Wednesday in U.S. Rep. Brad Sherman, D-California, who joined him at a news conference to announce that he, too, would pursue his own impeachment track. The two men were united in their stated beliefs that the president has obstructed justice amid an ongoing federal investigation into the Russian interference in the 2016 election and whether Trump associates colluded with the country's most significant adversary. Green also told reporters that the U.S. Capitol police force is investigating racist death threats he received last month following his initial call for Congress to impeach Trump. Hatred will do nothing to slow done this effort, he said. "You have to stare it down. You have to let hate know that it will not deter you," he said. "Hate will not change what we will do or I will do one scintilla."